The Bell Moto-9 Motocross Helmet elevates the category with not only improved fit, ventilation and comfort, but added safety features as well. Bell's magnetic cheek-pad system allows for easy motocross helmet removal in emergency situations allowing First Responders to gently remove the helmet from a rider's head, reducing the potential for secondary neck or spine injuries. 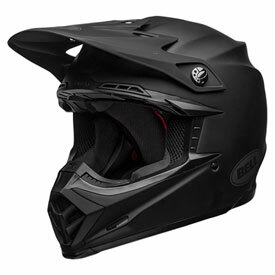 The Bell Moto-9 Motocross Helmet also includes a removable, washable comfort liner made with silver-woven antimicrobial and antibacterial material that wicks moisture away from the head and kills off 99.9% of odor causing bacteria. 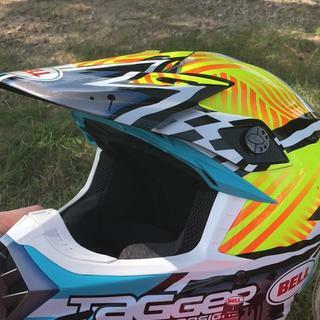 Moving outward on the MX helmet, the Moto-9 features a souped-up version of Bell's Velocity Flow Ventilation System, a Tri-Matrix Composite Shell that keeps weight low and strength in the right places, and a Flying Bridge Visor. Bell standards like an integrated, removable roost guard, padded chin strap with D-ring closure, Snell 2015 approval and a five year warranty are all part of the package. Lightweight "Tri Matrix" shell construction. QuickFlip™ visor screws for easy adjustment. Snell, ECE, and DOT approved. I absolutely love this helmet! The graphics on it are very well put and overall the helmet is very comfortable. 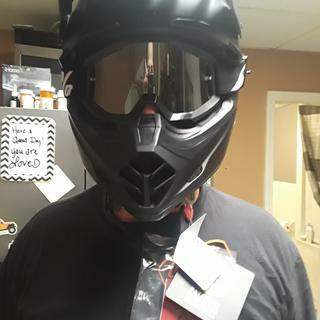 I ordered a small which turned out to be too small even though all my other helmets are small. However, this company was very responsive and placed a medium on hold the day I realized I needed a bigger size. I really like this helmet and would definitely recommend it to a friend! Best helmet I've ever owned. Pros: Fits good, amazing quality for the price. Cons: hard to put the helmet on with the goggles on the helmet, difficult finding preferred colors to go with older model bikes. To be honest I tried on several different helmets and Bell fit the best. 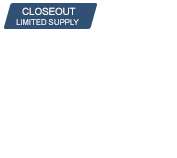 A nice higher end helmet with MIPS at a good price for last year's model. I was a gift for my son and he has not used it riding yet. But we found we had to go up one size compared to the previous brand we had been using (HJC). The next size up fits good. Also the cheek pads seem to squeeze the face some. Hopefully they will loosen up with use. Great upgrade from my $125 "el cheapo" helmet. Great helmet. Little tight initially but it’s breaking in well. It looks bada** and I got a great deal. I like how the visor can easily be adjusted in case you need to block out the sun. My old Fox Airspec goggles don’t fit that well into the helmet (gotta angle them just right) but I’m planning on getting news ones so minor concern. The Bell Moto9 MIPS is a perfect inbetween step with the MX9 and the Moto9 Flex. I’ve been unbelievably satisfied with it and would recommend it to anyone looking for a new helmet. 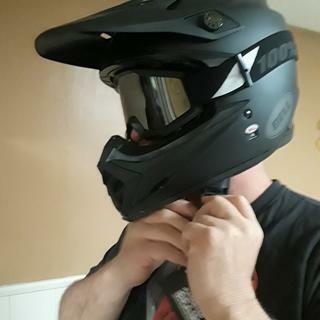 Very comfortable helmet and lightweight.. doesnt feel heavy on the head. And i love how all the padding can be taken out to wash it and that they offer different size cheek pads for an even more custom fit. Solid helmet... much better than my fox! Very happy with the fitment, ventilation, and weight of the helmet. Would highly recommend this helmet! Great looking helmet. So comfortable. Great looking helmet and feels so comfortable on. Can’t wait to use it. After I measured my head, I thought I was gonna be a size large but it was way to small for me. I was able to send it back to Rocky Mountain and they sent me a xl. Fits great now. 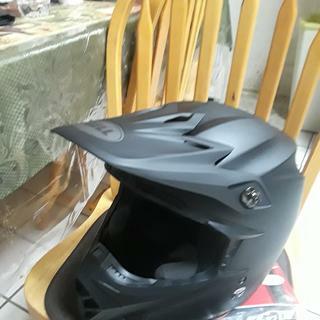 Nice comfortable stylish helmet fit and finish is top notch only complaint is one of the flip screws broke on the visor when adjusting it but R.M took care of me and sent 2 new visor screws thanks R.M! Great Product!Great Quality,My son loves it and will purchase more from you Thank you! I do like the helmet a lot being able to remove the liner to wash was a big plus for me. It could have had a better pin stripe color. Fit like a glove on my oval head. After years of wearing a $100 helmet, I decided my brain was worth more than $100 so I wanted to get a high-end helmet. I tried on many many different brands and nothing really seem to fit my oval head until I slipped on the bell Moto 9. It fit like a glove right off the shelf and I can’t wait to use it. I use 100% with mine and they fit fine. I have never used another brand so I can’t compare. I like X brand goggles. They fit well. Can I get a replacement visor for the Bell Moto-9 MIPS Helmet Medium District Blue/Orange - District Blue/Orange Medium?